If you know someone who’s applied for Social Security Disability Insurance, there’s a good chance they were denied benefits. When it comes to Disability benefits, Tennessee has one of the highest benefit denial rates in the country. According to reporting by The Tennessean, 72% of Social Security Disability applicants in Tennessee have been denied benefits. That’s 6% more than that national average (66%). Why are so many Tennessee Disability claims denied? There are a lot of reasons, but they almost always come down to the same thing: speed and greed. The Tennessean found that doctors were rushing through their reviews of SSD applications. Of the doctors hired by the state to evaluate claims for Social Security Disability, more than half of them outpaced the federal standard of 1.5 cases per hour. One out of every five doubled that pace. One doctor managed to review 4.7 cases per hour – that’s an average of one every 12 minutes, or so. Why are doctors speeding through these cases? The more applications they review, the more they get paid. Of the 50 or so doctors who reviewed Social Security Disability applications in Tennessee from 2013 to 2018, seven of them billed at least $1 million a year. Remember that doctor who managed to look at 4.7 cases per hour? He earned $2,266,092. Does having an attorney improve your chances of gaining SSD benefits? Yep. 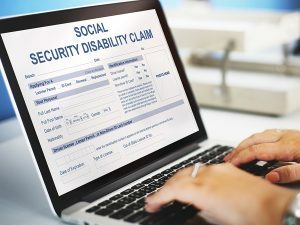 A report by the United States General Accounting Office (GAO) found that the odds of a person being awarded Disability benefits were between 3 to 5 times higher for individuals who were represented by an attorney. The process of applying for SSD benefits is lengthy and complex. You need an expert to help you navigate potential pitfalls and build the best case possible. When you’ve suffered a serious injury or illness, social security disability benefits can be a vital part of your survival. Don’t gamble. Hire an expert. Hire a Tennessee Social Security Disability attorney. Need some quick and helpful resources for surviving the Social Security Disability process?